Cut the hassle out of your botanical blunderings. 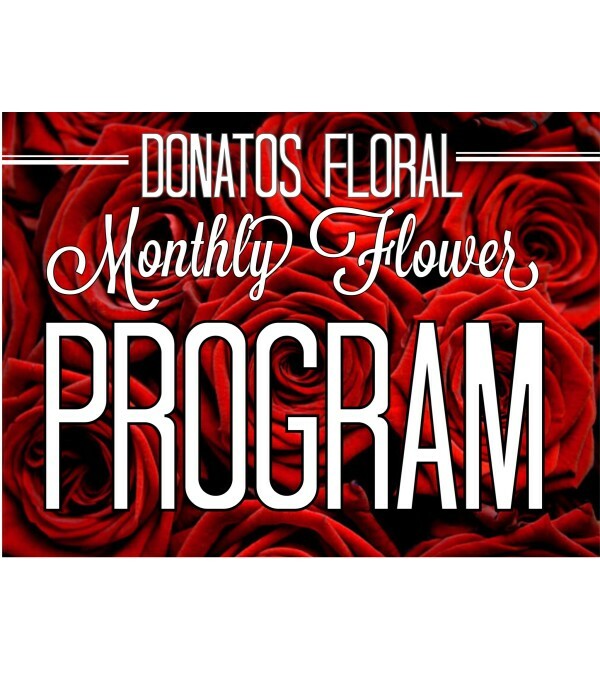 Each month, Donatos Floral will deliver a breathtaking bouquet of seasonal specific, high-quality flowers or planter basket that are hand selected by our profession floral designers for your loved one. The floral creation will be hand-delivered to your specified recipient in a glass vase, with love. Your arrangements will be timely, and hand-crafted to celebrate the seasons, a birthday, or special holiday. 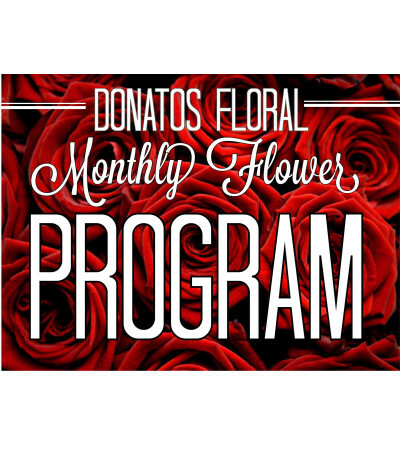 You choose participation in either a 6-month or 12-month schedule. This makes for a great Valentines gift that truly keeps on giving. Please give us a call set up future delivery dates for the next 5 months of your choice (Anniversary, Birthday, Mothers Day ect.) Call 763-416-0488.